Wipro Limited, a leading global information technology, consulting and business process services company, and Indian Institute of Technology Kharagpur (IIT Kharagpur), have signed a Memorandum of Understanding (MOU) to collaborate on high-impact, industry-focused applied research in the areas of 5G and AI. IIT Kharagpur will benefit from the commercialization of the joint research insights and Wipro's real-world industry expertise. The two organizations will focus on AI research applicable in the healthcare, education and retail sectors as well as in domains such as climate change and cyber security. IIT Kharagpur is pursuing research projects in areas including front and backhaul optical networks, vehicular ad hoc networks, interplanetary networks, channel estimation, optimized resource allocation, Multiple-Input & Multiple-Output (MIMO) and millimetre wave communications, secure communication & amp; cross-layer optimization and multimedia transmission for 5G. Wipro offers end-to-end 5G solutions for network equipment providers, network service providers, smart cities and enterprises in the media & entertainment, manufacturing, energy and utility verticals. This involves touch points across all network layers such as radio access, backhaul, transmission network, core network, orchestrator, OSS-BSS systems, edge & amp; public cloud and application ecosystem. Wipro has developed automation solutions, powered by its artificial intelligence platform - Wipro HOLMESTM. Through algorithmic intelligence and cognitive computing capabilities, Wipro HOLMESTM accelerates the digital journey of enterprises and enhances operational efficiency, economics, and user experience across applications, infrastructure management, and key business processes. Wipro has significant expertise and several use cases in the application of AI across industry domains. In addition, Wipro's Data Discovery Platform (DDP), which has advanced analytics and AI at its core, offers Insight-as-a-Service across industries. According to the UNDP-2019 Human Development Report (HDR), with its focus on inequality, will be released around this year's last quarter, . The report will provide a comprehensive picture of the many forms of inequality that are shaping the 21st century. The life and prospects faced by a newborn in a poor country or in a poor household are radically different from those of wealthier children. In all societies, long-standing forms of inequality persist while gaps are opening in new aspects of life. The report will use a framework that looks beyond income (considering inequalities in health, education, tech and exposure to economic and climate-related shocks) and beyond averages (painting a more accurate and timely picture of the state of inequality). These inequalities will have lifetime consequences, particularly given the rapid technological changes, which are likely to impact labour markets. This is just one example of why our analysis of inequality must go beyond income, beyond averages and beyond today. As of March 9, the HDR Office's Statistical Advisory Panel, had brought together prominent members from the statistical community and addressed many aspects of the statistical production for the 2019 report on inequality. The 2019 India Open, officially known as the YONEX-SUNRISE. India Open 2019, was a badminton tournament which took place at K. D. Jadhav Indoor Hall in India from 26 to 31 March 2019 and had a total purse of $350,000. The 2019 India Open was the eighth tournament of the 2019 BWF World Tour and also part of the India Open championships, which had been held since 2008. This tournament was organized by the Badminton Association of India with sanction from the BWF. All branches of public sector lenders Vijaya Bank and Dena Bank will function as branches of Bank of Baroda from April 1, 2019. State-owned Bank of Baroda's proposed merger with Dena and Vijaya Bank will be affected from April 1. Consequently, all branches of Vijaya Bank and Dena Bank will function as branches of Bank of Baroda from April 1, 2019. Customers, including depositors of Vijaya Bank and Dena Bank will be treated as customers of Bank of Baroda with effect from April 1, 2019. As per the merger plan, shareholders of Vijaya Bank will get 402 equity shares of BoB for every 1,000 shares held. Similarly, the shareholders of Dena Bank will receive 110 equity shares of BoB for every 1,000 equity shares held. After the commencement of the amalgamation scheme, the boards of Vijaya Bank and Dena Bank will stand dissolved. Earlier on March 28, the government announced to infuse Rs 5,042 crore into state-owned Bank of Baroda (BoB) ahead of merger. Last month, the Cabinet had approved the merger of Vijaya Bank, Dena Bank with Bank of Baroda. Following the merger of these state-owned banks, BoB will become the third largest bank in India after the State Bank of India and HDFC Bank in terms of assets. Earlier, September last year, the government had announced the merger of these three banks, as part of its strategy to promote consolidation in the sector marred by loads of non-performing assets (NPAs). However, this is the first three-way merger in the public sector banking space has taken place. Before this, the State Bank of India had merged five of its subsidiary banks with itself and took over Bharatiya Mahila Bank, which secured it a place among the top 50 global lenders. Garden Reach Ship Builders and Engineers Ltd (GRSE) became the "first Indian shipyard" to build and deliver 100 warships. GRSE Chairman and Managing Director, Rear Admiral (Retd) V K Saxena, formally handed over the 100th warship - 'IN LCU L-56' - to the Indian Navy. On March 27, GRSE had handed over its 99th warship, 'ICGS Priyadarshini' - an advanced 'Fast Patrol Vessel' -to the Indian Coast Guard. The state of Odisha celebrates Odisha Divas or Utkala Divas every year on April 1st to commemorate the state formation day. On this day 82 years ago, Orissa (now Odisha) was established as a province of British India. On 1 April 1936, the new province Orissa came into being with Sir John Austin Hubback, Indian Civil Servant ((ICS), as the Governor. Orissa was the first linguistic province in the country. After Independence, the area of Orissa was almost doubled and the population was increased by a third with the addition of 24 former princely states. The name of the state was changed from Orissa to Odisha in2011. Odisha’s Kandhamal Haldi (turmeric) gets Geographical Indications (GI) tag .Kandhamal Haldi (turmeric), famous for its healing properties. Kandhamal in Odisha’s southern hinterland is famous for its turmeric cultivation, a spice that enjoys its pride of place in an array of cuisines. Kandhamal Haldi has more oleoresin and volatile oil contents compared to other turmeric varieties. Kandhamal Haldi gives strong aroma and has a high medicinal value. The product to acquire GI tag has to indicate that a product of a particular origin has a certain quality or reputation or some other characteristics,which is essentially attributable to its geographical origin. Indian and Bolivia signed eight Memorandum of Understandings (MoUs) in diverse sectors including culture space and medicine. President Kovind is on three-nation visit reached Bolivi. He also received the highest state honour of Bolivia-Condor de los Andes en el Grado de Gran Collar from President of Bolivia Evo Morales. President Kovind, accompanied by his wife, Savita Kovind and a delegation of around 100 ministerial officials, inspected the Guard of Honour during a ceremonial welcome at the airport. He was also presented with the key of the city of Santa Cruz. Bolivia is a landlocked country, it is rich in mineral resources. It has large deposits of lithium, gold, silver and gas reserves. Bolivia's lithium and our needs for mobility and storage provide natural synergies. India has emerged as a major export destination for Bolivia and Bolivia is India's ninth largest trading partner in Latin America and the Caribbean region. Indian imports are USD 667 million and our exports are $105 million. Our main exports are vehicles and pharmaceutical products. The ISA is an Indian initiative that was jointly launched by Prime Minister Modi and former French President Hollande on November 30, 2015, in Paris, on the sidelines of COP21, the UN Climate Conference. On December 6, 2017, ISA became a treaty-based international intergovernmental organization after Guinea ratified the organization’s framework agreement. With the joining of Bolivia, a total of 74 countries have signed the framework agreement of the ISA. The agreement between Bolivia and ISA was signed during President Ram Nath Kovind’s visit to Bolivia. Bolivia is the second South American country after Argentina to sign the ISA framework agreement. According to a government official, another South American country Paraguay will be soon joining the ISA. Recently, ISA and the European Union signed a joint declaration for cooperation on solar energy. The declaration was inked at the 24th conference of United Nations Framework Convention on Climate Change held in Katowice, Poland. The Reserve Bank may trigger fresh flotation of market loans when the Government of India utilities 75% of the WMA limit. The Reserve Bank, in consultation with Government of India, will put in place a rule- based WMA limit in future, based on objective parameters. WhatsApp has launched an India-focused fact-checking feature to combat fake news and rumours starting with the run-up to the Lok Sabha elections. The initiative comes a day after Facebook, which owns WhatsApp, took down over 700 pages linked to individuals that it said were associated with the Congress and the Bharatiya Janata Party for spamming other users. its Indian users, numbering more than 200 million, can now report uncertain information or rumours they have received to a WhatsApp number (+91-9643-000-888) and check its authenticity. The response will indicate if information is classified as ‘true’, ‘false’, ‘misleading’, ‘disputed’ or ‘out of scope’, and include any other related information. WhatsApp will review pictures, video links or texts in Hindi, Telugu, Bengali, Malayalam and English. Developed in collaboration with India-based media skilling startup PROTO, the tip line feature will help create a database of rumours to study misinformation during elections as part of a research project commissioned and assisted by WhatsApp. The challenge of viral misinformation requires more collaborative efforts and cannot be solved by any one organization alone. This combined effort by WhatsApp and industry organizations will help contribute to the safety of the elections, by giving people means to know if the information is verified and deter people from sharing rumors that have no basis in fact. The Indian group will be helped by two international firms, Dig Deeper Media and Meedan, which have previously worked on misinformation-related projects globally, including during the elections in Mexico and France. The research from this initiative will help create a global benchmark for those wishing to tackle misinformation in their own markets. WhatsApp faced severe criticism after lynching incidents followed the sharing of fake news on the platform. "Reiwa" will be the name of the new Japanese imperial era set to begin on 1 May 2019, as was announced on 1 April 2019. Japan’s current era, Heisei, which began in 1989, will end with Emperor Akihito's abdication. According to Japan times, Reiwa consists of two words "Rei" and "Wa". While Rei means "good fortune", Wa can be translated into "peace" and "harmony". The new imperial era will begin when Crown Prince Naruhito takes oath as a new emperor. This is a long tradition in Japan that the ascension of a new emperor to the Chrysanthemum Throne spurs a new era in the nation, which is marked by a new name. Emperor Akihito is slated to abdicate the throne a day before Crown Prince Naruhito's ascension in May 2019. He will be the first Emperor in Japan to abdicate over two centuries. Manu Sawhney assumed the charge as the new Chief Executive of the ICC on 1 April 2019. Manu Sawhney, the ex-CEO of Singapore Sports Hub and ex-Managing Director of ESPN Star Sports. He replaced David Richardson of South Africa, who will remain with the ICC until July 2019 to oversee the delivery of World Cup. The new Repo Rate after the Reserve Bank of India (RBI) reduced it in its first bi-monthly monetary policy review of year 2019-20 is 6%. The RBI on 4 April 2019 cut its repo rate, or the rate at which it lends to banks, by 25 basis points to 6%. This is the second consecutive rate cut from RBI under new chief Shaktikanta Das, after a surprise rate cut in February 2019. The RBI also lowered its GDP growth outlook for 2019-20. RBI expects GDP growth at 7.2% for 2019-20, lower than its February projection of 7.4%. India will purchase MH-60 'Romeo' Seahawk naval helicopter of US, as was announced during April 2019. India and the US agreed to a new defence agreement in which the US will sell 24 multi-role MH-60 'Romeo' Seahawk helicopters to India at an estimated cost of $2.6 billion. The Lockheed Martin-built helicopters are designed for hunting submarines, targeting ships, and conducting search-and-rescue operations at sea. The helicopters are currently deployed with the US Navy. 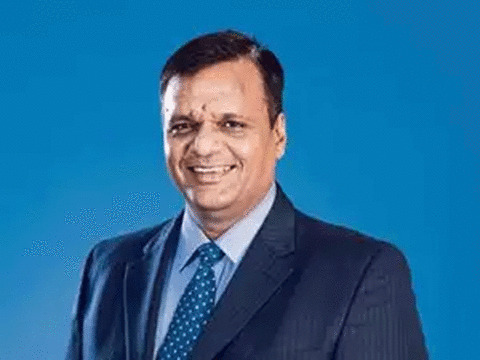 Private sector lender Lakshmi Vilas Bank is merging in Indiabulls Housing Finance Ltd.
Lakshmi Vilas Bank Ltd (LVB) on 5 April 2019 announced that its board has approved a merger with mortgage financier Indiabulls Housing Finance Ltd in an all-stock deal. The merged entity, to be called Indiabulls Lakshmi Vilas Bank. It will be among the top eight private banks in India by size and profitability. LVB operated 569 branches and 1,046 ATMs across 19 states and one Union territory while Indiabulls is involved in providing home loans, loan against property to retail customer including MSMEs and businesses, lease-rental discounting and construction finance. Tata Steel overtook JSW Steel Ltd. to emerge as India’s largest steel producer for year 2018-19. Production rose 35% to 16.79 million tons in the year ended 31 March 2019. Tata’s volumes are a tad higher than the 16.75 million tons targeted by JSW Steel Ltd., which was India’s biggest steel mill in the previous fiscal year. Saudi Aramco company has emerged as world’s most profitable company. Saudi Arabia’s giant oil company Saudi Aramco results were released by the Saudi Government first time ever on 1 April 2019. The company generated $111.1 billion in net profits during 2018 and thus making it the world’s most profitable company by far. It handily beat Apple ($59.5 billion in net profits in 2018). Saudi Aramco is by far the biggest energy company in the world, generating nearly $1 billion a day in revenues. The world’s first nationwide 5G mobile network was launched in South Korea. South Korea launched the world’s first nationwide 5G mobile networks on 3 April 2019, two days earlier than the previously announced date of 5 April. Three top telecom providers - SK Telecom, KT and LG Uplus - began their 5G services at 11 pm local time on this day. India has signed an agreement with a development bank for setting up India-Africa Institute of Agriculture and Rural Development (IAIARD) in Malawi. The agreement was signed as a part of India's efforts to enhance capacity in the areas of agro-financing and entrepreneurship development for African countries. The ministry signed the MoU with National Bank for Agriculture and Rural Development Consultancy Service (NABCONS). India-Africa Institute of Agriculture and Rural Development IAIARD would be a Pan-African Institute wherein trainees not only from Malawi but also from other African countries, will receive training to develop their human resources and build their capacity. Zuzana Caputova, a 45-year-old lawyer and anti-corruption campaigner, won 58.4% of the votes in Saturday’s poll and will take office in June. Prior to her surprise entry into politics, Caputova was a civil activist best known for blocking a planned landfill site in her home town in 2016. She also played a role in anti-government protests that broke out after the murder of the investigative journalist Jan Kuciak and his fiancee, Martina Kusnirova. After topping the first round of voting two weeks ago, she comfortably won the run-off against Maros Sefcovic, an EU energy commissioner backed by the governing party Smer, an ostensibly centre-left grouping that has increasingly used rightwing populist rhetoric over recent years. Ms Caputova defeated high-profile diplomat Maros Sefcovic, nominated by the governing party. She won 58% of the vote, with Mr Sefcovic trailing on 42%. Mr Sefcovic is the vice president of the European Commission. United Arab Emirates (UAE) has conferred its highest civilian honour - Zayed Medal - on Prime Minister Narendra Modi for his role in consolidating ties between the UAE and India. It consists of a collar cantered by a medallion bearing the name 'Zayed' - the founding father of the United Arab Emirates. In the past, this award has been conferred to the likes of Russian President Vladimir Putin, then US President George W Bush, Nicholas Sarkozy when he was President of France, German Chancellor Angela Merkel, Chinese President Xi Jinping and the UK's Queen Elizabeth II. This also comes at a time when both countries are engaged to see if Prime Minister Modi will travel to Abu Dhabi on April 20 for the opening of Abu Dhabi's first-ever temple BAPS Hindu Mandir. Former Under Secretary of United States Treasury Department, David Malpass, appointed as the 13th president of the World Bank Group. Malpass, a former Wall Street economist, would aim to direct loans to "those countries that are the poorest and most in need of financial resources." Malpass would be a "strong advocate for accountability" at the World Bank and would support the government's aim of ensuring "that U.S. taxpayer dollars are spent effectively and wisely." During his tenure as Under Secretary, Malpass represented the US in international settings, including the G-7 and G-20 Deputy Finance Ministerial, World Bank-IMF Spring and Annual Meetings, and meetings of the Financial Stability Board, the Organisation for Economic Cooperation and Development, and the Overseas Private Investment Corporation. He also played an instrumental role in advancing the Debt Transparency Initiative, adopted by the World Bank and IMF, to increase public disclosure of debt and thereby reduce the frequency and severity of debt crises. Malpass is scheduled to assume charge on April 6. The 2019 Malaysia Open is the ninth tournament of the 2019 BWF World Tour and also part of the Malaysia Open championships, which has been held since 1937. The United States Government designated the Iranian armed corps as a foreign "terrorist organisation". It was announced by President Donald Trump on 8 April 2019. Iran’s elite Iranian Revolutionary Guard Corps (IRGC) a foreign "terrorist organisation". IRGC is Iran's most powerful security organisation and was set up to protect the country's Shia clerical ruling system after its 1979 Islamic Revolution. This is the first time the US has formally labelled another country's military a "terrorist group". India's largest public sector bank State Bank of India (SBI) bifurcated Mumbai Metropolitan Business region as a separate circle. SBI on 8 April 2019 launched Mumbai Metropolitan Business region as a separate circle. The new circle has been formed by bifurcating the Mumbai circle. The existing Mumbai circle has been bifurcated to form two circles- Mumbai (metro) and Maharashtra circle - with effect from 1 April 2019. The new circle is the bank’s 17th circle. The erstwhile Mumbai circle covering Maharashtra and Goa State was the largest circle under the SBI’s National Banking Group. Graham Reid was appointed the new chief coach of Indian men’s Hockey team. Hockey India (HI) on 8 April 2019 named Australia's Graham Reid as the new chief coach of the Indian men's hockey team. He was part of the silver-medal winning Australian team at the 1992 Barcelona Olympics. The post was lying vacant since Harendra Singh was removed from the post after India’s dismal performance in 2019 FIH Hockey World Cup in January 2019. Hockey India is the governing body of Hockey in India. It was formed after Indian Hockey Federation was dismissed in 2008 by IOA. Present President of HI is Mohammad Mushtaq Ahmed. The organisation has been sponsored by Government of India. The Reserve Bank of India came out with guidelines for banks to set up new currency chest. It include minimum area of 1,500 square feet for strong room. "Area of the strong room/ vault of at least 1,500 sq ft.
For those situated in hilly/ inaccessible places, the strong room/ vault area of at least 600 sq ft.. The currency chests should have CBL of Rs 1,000 crore, subject to ground realities and reasonable restrictions, at the discretion of the Reserve Bank. 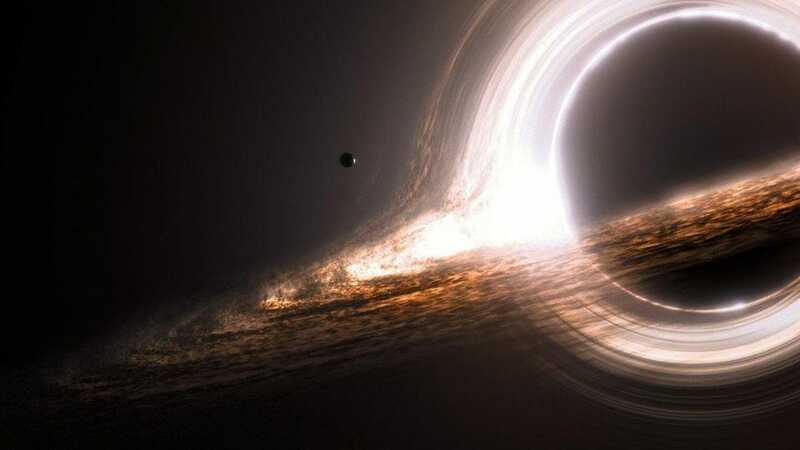 Scientific history was created when astronomers were successful in taking the first ever image of a black hole as was disclosed on 10 April 2019. This iconic photo was taken by Event Horizon Telescope network of eight linked telescopes. The first-ever picture of a black hole was taken by Event Horizon Telescope (EHT). The black hole photographed is 500 million trillion km away. Prof Heino Falcke of Radboud University in the Netherlands was the proposer of this experiment while 29-year-old woman computer scientist Katie Bouman led development of a computer programme that made the breakthrough image possible. According to the World Bank report, India retained its position as the world’s top recipient of remittances with its diaspora sending a whopping USD 79 billion back home in 2018. Remittances grew by more than 14 % in India, where a flooding disaster in Kerala likely boosted the financial help that migrants sent to families. In Pakistan, remittance growth was moderate (7% ), due to significant declines in inflows from Saudi Arabia, its largest remittance source. In Bangladesh, remittances showed a brisk uptick in 2018 (15 %). According to the report, remittances to low-and middle-income countries reached a record high of USD 529 billion in 2018, an increase of 9.6 % over the previous record high of USD 483 billion in 2017. Global remittances, which include flows to high-income countries, reached USD 689 billion in 2018, up from USD 633 billion in 2017. According to the latest World Economic Outlook report, India’s growth is projected to pick up to 7.5% in F.Y-2021. The International Monetary Fund (IMF) trimmed its economic growth forecasts for India by 20 basis points (bps) each from its January predictions to 7.3% for F.Y-2020 and 7.5% for the next fiscal. It has lowered 2019 global growth forecast by 20 basis points to 3.3%, the weakest since 2009 when the subprime crisis had flared up. The Fund also reduced its 2019 trade growth forecast by a sharp 60 basis points to 3.4%, compared with the actual rise of 3.8% in 2018. The IMF’s F.Y-2020 growth forecast for India is lower than the World Bank’s (7.5%) and the Asian Development Bank’s (7.2%). However, at 7.1%, the IMF’s estimate of the country’s growth in 2018-19 was even 10 bps higher than the second advance estimate by the Central Statistics Organisation. Higher trade policy uncertainty and concerns of escalation and retaliation would reduce business investment, disrupt supply chains, and slow productivity growth. Global growth, which peaked at close to 4% in 2017, dropped to 3.6% in 2018, and is projected to fall further to 3.3% in 2019. What is Veer Parivar App? The government has managed to meet the revised fiscal deficit target of 3.4 % of the GDP.. The interim Budget presented in February revised upward the fiscal deficit target to 3.4 % from 3.3 % of GDP estimated earlier for 2018-19. As a result, the shortfall in tax collection has been matched. There has also been some increase in non-tax revenue collection, especially on account of disinvestment proceeds. About Rs. 25,000-30,000 crore worth of subsidies due to PSU oil companies for selling LPG and kerosene oil below the cost during 2018-19 have been rolled over and will now be paid in the current fiscal year. The government is estimated to have witnessed a shortfall of Rs. 50,000 crore in direct tax collection target of Rs. 12 lakh crore for 2018-19. The government had revised the direct tax collection target upwards to Rs. 12 lakh crore from the original Budget Estimate of Rs. 11.5 lakh crore for 2018-19. It was expecting higher collections from corporate taxes. As far as non-tax revenue collection is concerned, the government exceeded its disinvestment target for 2018-19 by Rs. 5,000 crore, taking the total proceeds to Rs. 85,000 crore. Hong Kong's stock market has overtaken Japan to be the world’s third largest in value, behind only the U.S. and mainland China. Hong Kong’s market cap was $5.78 trillion as of, compared with $5.76 trillion for Japan. The Asian city’s Hang Seng Index climbed 17 % this year,when it closed at its highest since June 15. Internet giant Tencent Holdings Ltd. has been the main driver with a 22% gain. Japan’s Topix Index advanced 8.3 5 in that period. Alice G. Vaidyan has been awarded the Freedom of the City of London in recognition of her work to promote insurance ties between India and the UK. She is presently Chairman and Managing Director of the General Insurance Corporation (GIC) of India. She is an excellent ambassador for India, and has done much to boost ties in business between our two countries. As India's domestic insurance industry continues to mature and grow, I look forward to working with Mrs Vaidyan to further promote exchanges and ties between UK and Indian businesses. Vaidyan has been at the helm of India's only reinsurance firm since January 2016. India has 34 general insurers, 24 life insurers, branch offices of 10 global reinsurers and over 500 brokers, with 45 foreign reinsurers also based in the country. India is expected to be a world leader in Insurtech and we look forward to technology enabling, rather than disrupting the industry. Deepa will travel to New Zealand and meet with Prime Minister Jacinda Ardern, undertake a series of visits to Paralympic sporting organisations, and engage with Kiwi athletes, students and the media as well as New Zealand's significant Indian Diaspora community. Professor Najma Akhtar was appointed as the vice-chancellor of Jamia Millia Islamia (JMI), making her the first woman to hold the charge. The Delhi-based varsity had been functioning without a vice-Chancellor after Talat Ahmad resigned from the post last year to join as the head of Kashmir University. A widely acclaimed educationist, Professor Akhtar is also the first lady vice chancellor of any central university in Delhi. She is known for spearheading international educational administrators' course for senior officials from 130 countries for more than 15 years at National Institute of Educational Planning and Administration (NIEPA). A widely acclaimed educationist, Prof. Akhtar is a gold medalist from Aligarh Muslim University (AMU) and completed her Ph.D. (Education) from Kurukshetra University. She was the founder director of State Institute of Educational Management and Training (SIEMAT), Uttar Pradesh, which was established for developing educational administrators for the country. She has been involved in collaborative research works with developing and developed countries. She has been actively consulted by UNESCO, UNICEF, DANIDA and other international organisations. Gender Equity has been part of most of her projects. She had earlier won the gold at the prestigious Strandja Cup. The quality of air in Varanasi, Prime Minister Modi’s 2014 Lok Sabha constituency, is positioned 3rd on the WHO’s (World Health Organisation) list of 15 most polluted cities in the world, by the ‘Political Leaders Position and Action on Air Quality in India 2014-2019’ report, released by Climate Trends. Kanpur in Uttar Pradesh is the most polluted city in the world and is positioned 1 on the list. The most polluted cityi. The air quality index (AQI) in Varanasi reached a warning 490 (notified as ‘severe’) in 2017 and 384 (notified as ‘very poor’) in December 2018.
ii. 14 of the 15 most polluted cities in the world (mentioned by World Health Organisation (WHO) are in India. Out of them, 4 are in Uttar Pradesh. iii. WHO’s report states that Varanasi in Uttar Pradesh is witnessing a rise in the number of people suffering from allergies and respiratory problems due to huge amount of construction in the city. iv. Faridabad in Haryana is in 2nd position after Kanpur, whereas Delhi is ranked 6th on the list. Other than these, the list of the most polluted cities according to WHO include Gaya and Patna in Bihar, Lucknow, Cities of Agra, Muzaffarpur, Srinagar, Gurugram, Jaipur, Patiala and Jodhpur. On 12th April 2019, India was agreed to improve the bilateral cooperation with the Netherlands in various fields, including political, economic scientific and cultural cooperation during the Foreign Office Consultations in New Delhi. Gitesh Sarma, the Secretary (West) in Ministry of External Affairs (MEA) led The Indian delegation and Johanna (Yoka) Brandt, Secretary General in Ministry of Foreign Affairs, led the Dutch delegation. They exchanged views on regional and multilateral issues, including cooperation at the United Nations and other international fora. At the 25th edition of the CII-DST Tech Summit which will be held in New Delhi in October 2019, Netherlands will participate as the partner country. Palestinian President Mahmoud Abbas assigned his long-time ally Mohammed Shtayyeh to form the new Palestinian government which will succeed the former consensus government of Ramai Hamdallah. The 18th Palestinian government since the establishment of the Palestinian Authrity in 1995. As a Palestinian economist and politician, Shtayyeh was born in the village of Tal near the northern West Bank city of Nablus in 1958. He received his school education in the village and earned a Bachelor's degree in Economy and Business from Birzeit University near Ramallah in 1976. The new prime minister has also received a PHD degree in economy development in a British university. Shtayyeh holds several political, economic and professional positions in Palestine, mainly a professor and dean of college in Birzeit University, chairman of the Palestinian Economic Council for Development and Reconstruction (PECDAR) and the minister of public work and housing. He was elected as a member in the Fatah Central Committee in 2009 and in 2016. Shtayyeh also holds various civil and academic positions, mainly chairman of the Board of Trustees of the Arab American University, member of the Board of Trustees of Al Quds University, member of the Board of Trustees of the University of Istiqlal, and chairman of the SOS Children's Council. He is also chairman of the Islamic Development Bank, president of Hassib Al Sabbagh and Saeed Khoury Award for Engineering. He also participated in the establishment of the Palestinian Development Fund, the Palestinian Housing Council and the National Institute of Information Technology. Shtayyeh founded the Palestinian Center for Regional Studies and the National Institute of Management to train the cadres of the Authority, improve performance and contribute to the reform process. He also represented the state of Palestine in the meetings of the donor countries and the World Bank. Shtayyeh headed the delegation of the Palestinian delegation to the multilateral negotiations on economic and regional cooperation dealing with trade, finance, infrastructure and tourism in the Middle East. Former Pakistan skipper and batsman, Inzamam-ul-Haq played 119 Test matches, captained them from 2001-07 and scored 8,829 runs at an average of 50.16, inclusive of 25 centuries. Inzamam-ul-Haq made his international debut in 1991 and featured in Pakistan’s successful 1992 World Cup campaign. He played in a total of 378 ODIs, scoring 11,739 runs at an average of 39.5 and thus became 6th in the list. Now on becoming an honorary life member of MCC, Inzamam-ul-Haq joins the list of great Pakistan cricketers, namely, Imran Khan, Wasim Akram, Waqar Younis and Shahid Afridi. Former South African wicketkeeper and batsman, Mark Boucher was the first glovesman to take 500 catches in the longest format in Test Cricket. He made his debut in 1997, after which he went on to play 146 Test matches and scored 5498 runs, taking 530 catches and 23 stumpings. He holds the combined-format international record for wicket-keeping dismissals- total of 998. He has joined his countrymen, namely, Allan Donald, Jonty Rhodes, Shaun Pollock and Daryll Cullinan as an Honorary Life Member of MCC. The trade deficit between India and China has seen a “whopping reduction” as a result of “high-level engagement, strategic planning, coordination with stakeholders, market research, sustained efforts, constant monitoring, (and) handholding with exporters. The deficit was down by $10 billion to $53 billion in FY-2019 due to reduced imports along with new market opportunities following the US-China trade war. While India’s imports from China was reduced by 8 per cent at $70 billion in F.Y-2019, the exports to China went up by 31 % at $17 billion during the same period. A sustained dialogue between the two countries for giving better market access along with improved demand for Indian products in China due to high duties on the US goods by China led to the narrowing of the trade deficit. India had recently shared with China a list of 380 products including horticulture, textiles, chemicals and pharmaceuticals given the great export potential such products have in China. Odisha's Col (Dr) Bibhu Kalyan Nayak became the first Indian to be appointed Chair of International Hockey Federation (FIH) Health and Safety Committee by the world governing body. He will serve a two-year cycle lasting until 2020. Dr. Nayak first Indian to have been nominated by FIH as the Medical Officer for a World Cup. In 1995, he was appointed in the Army Medical Corps of Indian Army and worked for the Army Sports Institute, Pune. In 2009, he joined the Indian hockey team and has co-occurred with the team in the events such as Men’s Hockey World Cup (all in 2010),Sultan Azlan Shah Cup (2009, 2010), Asian Games, CWG, and Asian Champions Trophy (2012). At present, Dr Nayak is with the Sports Injury Centre, as specialist on deputation (Sports Medicine), Safdarjung Hospital. China has built the world's first armed amphibious drone boat. It could be used in land assault operations and is capable of forming a combat triad with aerial drones and other drone ships. Built by Wuchang Shipbuilding Industry Group under China Shipbuilding Industry Corporation (CSIC), the drone ship, named Marine Lizard, successfully passed delivery checks and left factory on April 8 in Wuhan. When approaching land, the amphibious drone ship can release four continuous track units hidden under its belly, and travel at 20 kilometers an hour on land. The maximum land speed can be increased if larger track units are installed. The Marine Lizard's payloads include an electro-optical system and a radar system. In the weapon department, it is equipped with two machine guns and a vertical launching system for anti-ship and anti-aircraft missiles. This amphibious drone boat is suitable for island assault operations as a swarm of such drone ships could lead an attack following a first wave of artillery and air strikes. The drone boat is also a great choice for coastal defence. it can remain dormant on an uninhabited island for up to eight months before engaging in combat once it receives orders, according to the Hubei Daily report. Provided with world-class navigation by China's independently developed BeiDou Navigation Satellite System, the Marine Lizard can cooperate with other battle units in an integrated command system. Having a maximum operation range of 1,200 kilometers, the Marine Lizard can be remotely controlled via satellites. The drone is available for export, as it is developed with the needs of international clients in mind. India’s first exotic Bird Park ‘EsselWorld Bird Park’ was launched by EsselWorld Leisure Pvt. Ltd., the family entertainment arm of the $6-billion Essel Group in Mumbai on 11th April 2019. The Park is spread over 1.4 acres of land and surrounded by flora and fauna. EsselWorld is the largest amusement park in the country and Water Kingdom is one of the largest Theme Water Parks in Asia. India joined hands with Japan and the United Arab Emirates (UAE) to implement two projects in Africa as it seeks to extend its footprint on the continent as a counter to China’s ambitious Belt and Road Initiative (BRI) on 15th April 2019,. India will build a cancer hospital in Kenya in collaboration with Japan and will to set up an information and communications technology (ICT) center in Ethiopia in partnership with the UAE. Customers can avail an Insta Credit loan in their Bajaj Finserv Wallet to pay their electricity bills on EMI. In the year 2018, Bajaj Finance Ltd. financed the purchase of over 12 lakh air conditioners in the country. Observing the purchase trend, Bajaj Finance Ltd launched this campaign. Customers buying air conditioners of Rs 20,000 and above will be eligible for Rs 5000 Insta Credit loan and for the air conditioners above Rs 40,000 will receive Rs 7000 Insta Credit loan to their Wallet. The Wallet facilitates the customer to access the EMI network card digitally, like tracking loan-related details online, transacting securely with EMIs on purchases, etc. Also, customer can pay bills, book tickets and transfer funds easily and seamlessly. Bajaj Finserv Ltd’s Headquarters located at Pune. It was founded by Jamnalal Bajaj. Currently, they are serving seven-year prison sentence in Myanmar since 12 December 2017 under the Official Secrets Act for illegally collecting, classified military records that revealed extrajudicial assassinations of Rohingya Muslims by the army in Rakhine State, while working for the Reuters. The UNESCO/Guillermo Cano World Press Freedom Prize will be given on May 2 as part of the observance of World Press Freedom Day (3 May) in Ethiopia. What is UNESCO/Guillermo Cano World Press Freedom Prize ? The award is a tribute to Colombian journalist Guillermo Cano Isaza. On 17 December 1986, he was killed in front of the offices of his newspaper El Espectador in Bogota, Colombia. The prize honours an institution or person who has made a notable contribution to the defence and promotion of press freedom. The Prize was founded on the initiative of UNESCO’s Executive Board and is awarded by the DG of the Organization, on the occasion of World Press Freedom Day, on 3 May. It was founded on October 1851 by Paul Reuter. The world’s largest aircraft completed its first flight test, achieving a maximum speed of 189 miles per hour (302.4 km per hour). The plane developed by aerospace venture Stratolaunchflew for 2.5 hours over the Mojave Desert at altitudes up to 17,000 feet. It was set up by the late Microsoft co-founder Paul Allen in 2011. As per the information provided on the Stratolaunch website, the test flight took off from Mojave Air and Space Port in California at 6:58 am Pacific Time (7:28 pm India time). The Stratolaunch aircraft is designed to act as a flying launch pad for satellites and put payloads in orbit. With 117 meters wingspan and 73 meters nose-to-tail length, the company describes its aircraft as the “world’s largest plane”. While it does have the largest wingspan, it does not have the longest nose-to-tail length. Asian giant financial institution ADB committed to provide USD 3 billion in sovereign loans to India in 2018. It is the highest level of assistance since sovereign operations began in the country in 1986. The Asian Development Bank (ADB), committed a total of USD 3.88 billion, including sovereign loans and co-financing during the year ended December 2018. New commitments included USD 21.6 billion in loans, grants and investments from ADB’s own resources, exceeding the target of USD 19.71 billion and up 10 % from 2017. Private sector operations reached USD 3.14 billion, a 37 % increase from 2017, which is 14.5 % of ADB’s overall commitment. ADB provided a USD 100-million loan to Ostro Kutch Wind, a renewable energy company owned by investment funds under the management of Actis Capital, for constructing and operating a 250-megawatt wind power project in Gujarat. ADB continued to deliver on its climate commitments in 2018 with USD 3.6 billion in financing approved. ADB is on target to double its annual climate financing to USD 6 billion in approvals by 2020. ADB was established in 1966,owned by 68 member countries. SK Shivakumari. He was part of the team which had developed telemetry system for India’s first moon mission Chandrayan – I. He served as the project director for India’s first indigenous Deep Space Network Antenna at Byalalu. He also led the team of 2,500 engineers which contributed to ISRO’s Mangalyaan Mission. He contributed in several missions like Bhaskara, INSAT, IRS-1B and IRS-1C. He also served as the director of ISRO Telemetry, Tracking and Command Network (ISTRAC). He was Padma shree awardee and also honoured with Karnataka Rajyotsava award (2008). ISRO's headquarter is located at Bengaluru, Karnataka. Presently its Chairman is Dr. K. Sivan. The latest foreign exchange swap window opened by the RBI can reduce the cost of borrowing for the top 500 corporate borrowers of foreign funds in India with a cumulative reduction up-to Rs 7,000 crore, according to a report. The interest outgo of the top 500 debt-heavy corporate borrowers could cumulatively reduce by Rs 4000 crore-7000 crore, assuming a 0.50%-0.75% reduction in the cost of forex borrowings and a 50bp-200bp rise in the share of forex borrowings in the outstanding debt of these corporate. The $5 billion reserve swap auction by the RBI was taken in a bid to improve the pace of monetary transmission and improve the liquidity in the economy. Under it, the central bank bought $5 billion from the market through auction for three years on March 2019 and will sell the same amount back to the respective counterparties in March 2022. 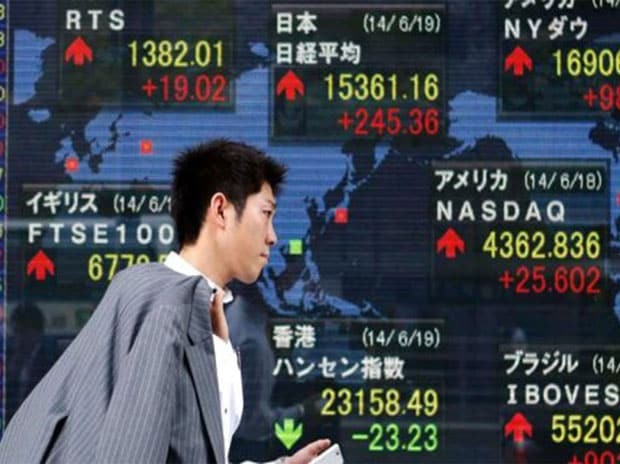 It is said to take another swap in on April-23. The swap auctions in March 2019 and April 2019 provide institutional investors an opportunity to benefit from the relatively high domestic real interest rates in India while hedging their forex risk at attractive rates. The report noted an increase in US dollar liquidity conditions in the domestic market following the move. The total settlement volume, as a percentage of forex reserves, increased to 3.28 per cent during March 2019. Non-food credit growth will reach Rs 11.68 lakh crore in F.Y-2020 and the deposit shortfall will be Rs 2.79 lakh crore even after the proceeds from the swap window and an increase in credit-deposit ratio. The United Nations owes India $38 million,the highest it has to pay to any country, for the peacekeeping operations as of March 2019. As of March 31, 2019, the total amount payable to troop- and police-contributing countries with respect to active peacekeeping missions was $265 million. Of this, the UN owes $38 million to India, followed by Rwanda ($31 million), Pakistan ($28 million), Bangladesh ($25 million) and Nepal ($23 million). The arrears to troop- and police-contributing (TCCs/PCCs) countries could increase to $588 million by June 2019 "in the worst-case scenario". Troop- and police-contributing countries will or will not be paid depends on the cash position of the individual missions to which they contribute and is not determined by their individual capacity to shoulder that unfair burden. The United Nations is now effectively borrowing for prolonged periods from troop- and police-contributing countries. Many of them are low-income countries for which that imposes a significant financial burden. At the same time, the Organisation is asking those same countries to do more to train their personnel and improve the quality of their equipment, all while operating in increasingly challenging environments. The United Nations, however, is not fulfilling its obligation towards them in a timely manner. the practice of delaying payments to TCCs/PCCs, even as contractual obligations to others are met, cannot continue unaddressed. It results in TCCs/PCCs bearing unsustainable burdens. In some cases, TCCs and PCCs are owed 100 to 200 times their cumulative annual financial contributions to the UN. Peacekeeping operations also face frequent cash constraints that forced the Organisation to postpone the settlement of its obligations to troop- and police-contributing countries. Regular budget assessments are issued at the beginning of each year and member states are required to pay their contributions in full within 30 days. 2018 was $529 million, equivalent to more than 21 %of that year's assessments and nearly 150 %of the liquidity reserves. The United States is responsible for 22 % of the $5.4 billion regular budget for 2018 and 2019 and more than 28 %of the $6.7 billion peacekeeping budget for the year to June 30. The overall level of unpaid peacekeeping contributions is also affected by the decision of one Member State to contribute at a level approximately 3 % below its applicable rate of assessment. The UN chief requested the General Assembly to increase the Working Capital Fund to $350 million effective July 1, 2019. It also focus to create a Peacekeeping Working Capital Fund of $250 million and authorise its use to address the liquidity challenges of active peacekeeping operations among ways to help improve the financial situation of the world body and deal with timely payment of dues to troop and police contributing countries. Earlier,in August 2018, Marin who led Brazil’s organising committee for the 2014 World Cup, was sentenced to four years in prison for racketeering, money laundering and wire fraud. During US investigation, he was found to have taken bribes in exchange for the media and marketing rights to various tournaments which also include the Copa America. In 2017, Marin took $6.6 million in bribes. He was ordered by federal court to forfeit $3.3 million and pay $1.2 million as fine. The FIFA ethics committee also imposed a 1 million Swiss franc fine. Indian Coast Guard vessel Veera has been commissioned by General Bipin Rawat, Chief of Army Staff in Eastern Naval Command in Vishakhapatnam, Andhra Pradesh. Veera, the third in the series of the new generation Offshore Patrol Vessel (OPV) is indigenously designed and built by Larsen & Toubro Ltd. at its shipbuilding facility at Kattupali in Chennai. It is commanded by Commandant Girish Datt Raturi and managed by 12 officers and 94 men. The 98 metre long, 15 metre wide patrol vessel has a 3.6 metre draft and a range of 5,000 nautical miles. The vessel is fitted with a 30mm naval gun and will be fitted with 12.7mm Gun with FCS. It is also equipped with an Integrated Bridge System (IBS), Integrated Platform Management System (IPMS), Automated Power Management System (APMS) and High Power External Fire Fighting System (HPEFS). The ship displaces approx 2200 tons (GRT) and is propelled by two 9100 KW diesel engines to attain a maximum speed of 26 knots. The ship is designed to carry one twin-engine helicopter and four high-speed boats including two inflatable boats for boarding operation, Search and Rescue, Law Enforcement and Maritime Patrol. The ship is also capable of carrying limited pollution response equipment to contain oil spill at sea. The commissioning of ICGS Veera will enhance the Indian Coast Guard’s operational capability to discharge the multifarious maritime tasks. It will give a boost to the maritime protection of our vast coastline of Eastern Seaboard. Every year the 17th April, 2019 observes as the World Haemophilia Day. This year it has marked the 30th World Haemophilia Day. The theme of this year’s World Hemophilia Day is ‘Outreach and Identification’. The day was observed with the slogan – ‘Reaching Out: The First Step to Care’. National Aeronautics and Space Administration (NASA) has chosen a team led by an Indian American student, Keshav Raghvan to have its CubeSat which is a mini research satellite to be sent to space to detect cosmic rays on 15th April 2019. The 21 year old Keshav Raghavan, led the researchers from the Yale Undergraduate Aerospace Association (YUAA) which is among the 16 teams across the country whose CubeSats will be flown into space on missions planned to launch in 2020, 2021 and 2022. The team’s CubeSat BLAST (Bouchet Low-Earth Alpha/Beta Space Telescope) is named after physicist Edward A Bouchet who was the first African American to receive a Ph.D. in America. It is a scientific investigation mission to gather scientific information, map the distribution of galactic cosmic radiation across the night sky and will identify as well as count alpha particles and beta particles in the rays, and also measure the radiation energy around Earth. Normally CubeSat projects cost about USD 30,000 but this CubeSat BLAST will cost around USD 13,000 to USD 20,000. The satellite is smaller than a loaf of bread and built from a modular structure of 10x10x10cm cubes. NASA was formed in July 29, 1958. A 5G Use Cases Lab for banking and financial sector along with blockchain technology has been launched by The Institute for Development and Research in Banking Technology (IDRBT), which is an arm of Reserve Bank of India. It will change the technologies and applications, including point of sale (PoS) machines in the banking sector, which right now is 2G-enabled. 5G can play an important role in financial inclusion, it will enable integration and leveraging of various new technologies like cognitive computing, artificial intelligence, big data, etc. FATF is an inter-governmental body founded in 1989. It devices policy and sets standards to promote successful implementation of legal, regulatory and operational measures to combat money laundering, terrorist financing and other similarthreats to the integrity of the international financial system. The body accommodates 38 member countries, including India, China,US, UK, Japan and France, among others. It was established in 1917 by provisions in the will of American (Hungarian-born) Joseph Pulitzer who had made his fortune as a newspaper publisher and is administered by Columbia University in New York City. Local Reporting -Staff of The Advocate, Baton Rouge, La. Ace cricketer Mithali Dorai Raj, Captain of the Indian women’s cricket team, has been named as the goodwill ambassador of the Indian team for the Street Child Cricket World Cup (SCCWC) 2019. Mithali joins IPL franchise Rajasthan Royals and former captain Sourav Ganguly in supporting the team. The tournament is being organised by Street Child United (SCU), a UK based organization. In the tournament, there are 10 gender equal national teams .i.e., boys and girls will play together. Global provider of real-time electronic payment and banking solutions, ACI Worldwide, notified that India’s public sector bank, Canara Bank has successfully rolled out new functionality. It supports EMV (Europay, MasterCard and Visa) card acquiring across its ATM (Automated Teller Machine) network and Aadhaar Authentication, thus becoming the 1st in the market to leverage ACI’s UP Retail Payments solution and the 1st public sector bank to shift to EMV chip and PIN for card based transactions across the country’s vast ATM network. The functionality developed by ACI and Canara Bank also fastens the process of Aadhaar number linking, which in turn eases KYC (Know Your Customer) compliance at the bank’s branches. The prime objective of the EMV shift is to reduce fraud of lost and stolen card and make forging of card fraud more difficult. For Canara Bank, this is a notable achievement as it offers its customers improved authentication for card-based transactions at the ATM, thus ensuring greater security and risk mitigation. Canara Bank has around 6,300 branches and more than 10,000 ATMs. ETMONEY India’s largest app for financial services has integrated with UPI as a payment method. The reason for this is to double its monthly user base by the end of 2019. This integration will simplify the mutual fund payment for millions of ETMONEY users. Now ETMONEY users can make payment easily by using UPI option on the payment page. They can select different UPI-enabled apps like Google Pay, BHIM UPI, PhonePe among others. They only have to enter valid UPI ID and can make the payment instantly within a few seconds. In addition to this, ETMONEY users can use Netbanking and Debit Card for payments. Recently ETMONEY app crossed the landmark of Rs. 2000 crores of money invested in Mutual Funds via their platforms. By using ETMONEY app, investors from across 1,200 cities are adding more than Rs. 150 crores in new investment transaction value every month. UPI is an instant real-time payment system developed by National Payments Corporation of India (NPCI) which facilitates inter-bank transactions. In November, 2018, Sanjay Kumar was honoured with the Global Geospatial Industry Ambassador award by the United Nations Global Geospatial Information Management (UN-GGIM). Kumar first joined the committee as a representative of the WGIC. WGIC was launched on 1st August, 2018 at the 8th Session of the UN-GGIM, at United Nations Headquarters, New York. In 2017-18, India’s geospatial industry was estimated to be worth 1.1$ billion which is further expected to grow at 13.8% in the near term. The Indian government currently runs 163 geospatial-related projects across over 50 departments. The National Geospatial Advisory Committee is a Federal Advisory Committee that is sponsored by the Department of the Interior. The NGAC gives advice and recommendations on National Geospatial Policy and management issues, the development of the National Spatial Data Infrastructure (NSDI), and the implementation of the Geospatial Data Act of 2018. The NGAC includes around 30 members who serve 3-year terms on the committee. The NGAC holds meetings 3 to 4 times per year where the public is invited to give suggestions at all committee meetings. The U.S. Geological Survey, a bureau of the Department of the Interior, provides support services for the NGAC. At present, Dhoni is the brand ambassador of sports firm Dream11, Colgate, MasterCard, Orient Fans, Bharat Matrimony, Indigo Paints, SRMB Steel, and health supplement brand Revital H.
RedBus started its operation in 2006, works with over 2500 bus operator and have sold more than 180 million bus tickets till date. It also a part of the MakeMyTrip group. Redbus was founded in August 2006. It’s headquarters is located at Bengaluru. India is going to hold an informal ministerial of the World Trade Organization (WTO) for a second time in just over a year, starting May 13. WTO this month trimmed its global trade growth projection for 2019 to the lowest level in three years. The US has already slapped tariff on its imports of steel and aluminium and hinted at more such protectionist steps. It’s negotiating a trade deal with China and has announced its withdrawal of export incentives on Indian exports worth an annual $5.6 billion. Recently, it sought a review of the “developing country” status at the WTO, claiming several members -including China and India - that moved up fast on economic and social ladders since the formation of the multilateral body in 1995 were still enjoying special and preferential trade treatments by “self-designating” themselves as developing nations. World Heritage Day is celebrated across the globe with the aim of encouraging local communities and individuals to consider the importance of cultural heritage in their lives. World Heritage Day every year is observed on April 18 to celebrate and promote the cultural heritage across the world. It has been observed by of the International Council on Monuments and Sites (ICOMOS). The ICOMOS, in 1982, suggested that April 18 be celebrated as the International Day for Monuments and Sites. The UNESCO approved the proposal the next year during its 22nd General Conference. Hence, it is crucial to protect and preserve these sites which will only be achieved through efforts of combined efforts of the international community. The United Nations Educational, Scientific and Cultural Organisation (UNESCO) has recognised 35 World Heritage Sites in India. UNESCO had inscribed Nalanda Mahavihara or old Nalanda University of Bihar as World Heritage Site on July 15, 2016. In a first, after including Nalanda University, UNESCO also listed Chandigarh's Capitol Complex and Sikkim's Khangchendzonga National Park that includes world's third highest peak Mount Khangchendzonga among its World Heritage Sites. This was the first time that any country was able to get three sites included in the UNESCO's World Heritage list at a single session of the committee meeting. Established in 1972, the UNESCO World Heritage Convention describes the places that hold importance of cultural or natural heritage. Agra Fort and the Ajanta Caves were India's first two sites to be inscribed on the list in 1983. Of these 35 sites, 27 are cultural sites and the other eight are natural sites. Recently,Two international financial institutions the World Bank and the International Monetary Fund (IMF) have launched a private blockchain and quasi-crypto currency called as “Learning Coin” for better understanding of blockchain technology and the function of crypto assets. The asset will only be available for use within the IMF and the World Bank. It has no monetary value, means it is not a true cryptocurrency. Russia will confer its highest civilian award, the “Order of the Holy Apostle Andrew the First,” on Prime Minister Narendra Modi for his work on bilateral ties. According to established practice, an international award such as this one is only announced once the recipient’s government indicates its acceptance. The country’s finished steel exports fell by 34% in the fiscal year that ended in March to 6.36 million tonnes. During the same period, finished steel imports rose 4.7% to 7.84 million tonnes. India’s exports during the fiscal year declined after rival steelmakers in China, Japan, South Korea and Indonesia, blocked from markets in the United States and Europe by tariffs and other protectionist measures, ate away at the country’s markets in the Middle East and Africa. Imports of value-added steel, primarily for the auto sector and high-end electrical steel. Nepals first satellite has been launched into space, which will soon start rotating around the Earths orbit to collect information about the countrys topography and Earths magnetic field. The NepaliSat-1 was launched from the Virginia-based station of the National Aeronautics and Space Administration in the US. The satellite, developed by two Nepalis -- Abhas Maskey and Hariram Shrestha -- at Japan's Kyushu Institute of Technology, bears the Nepal flag and the NAST logo. Similar satellites from Japan and Sri Lanka were also launched alongside NepaliSat-1. According to the NAST, the satellite is equipped with a 5MP camera to capture Nepal's topography and a magnetometer to collect data related to the Earth's magnetic field. The satellite will first reach the International Space Station. It will then start rotating around the earth after a month. The images and data will be sent by the satellite to the ground station at NAST, which is currently under construction. The total cost from developing the satellite to launching it and constructing the ground station was said to be 20 million Nepalese rupees ($179,915). A group of four engineering graduates were also working to launch another Nepali satellite 'Nepal PQ-1' in 2020.